I did a lot of deep-frying in culinary school, but until now I hadn’t translated my skills into my home kitchen. My reasons were sound. In the first place, no matter how neat you try to be, your stovetop always gets splattered with grease and the clean-up is no fun. Secondly, the method wastes a lot of oil (unless you are willing to keep using the same batch over and over again, but I can’t bring myself to do that). And finally, since I don’t really want to make a habit of eating a lot of deep-fried foods, I figured that it would be wisest not to start at all. But I also was simply spoiled. In culinary school, you get to use those commercial fryers with wire baskets and temperature gauges that make the whole process ridiculously easy. The honest truth was that I was nervous about trying deep-frying at home. I’d heard too many horror stories about overheated oil becoming carcinogenic and people burning themselves when they overturned a pan of hot fat. It wouldn’t do. I had to conquer deep-frying at home. I decided that my first go would be with zeppole, those delicate, puffy doughnuts from Italy. While researching methods for preparing them, I read that they are often served drizzled with honey. I was enchanted with the idea, because I had seen instructions for preparing rosemary-infused honey on the Bon Appetit website recently, and I wanted to try it. So my zeppole would be served with rosemary honey, and I also mixed a little chopped fresh rosemary into the zeppole battter. But I still needed another flavouring ingredient, something refreshing and lively that would contrast with the pungent, woodsy flavour of the rosemary. Citrus seemed the best answer. 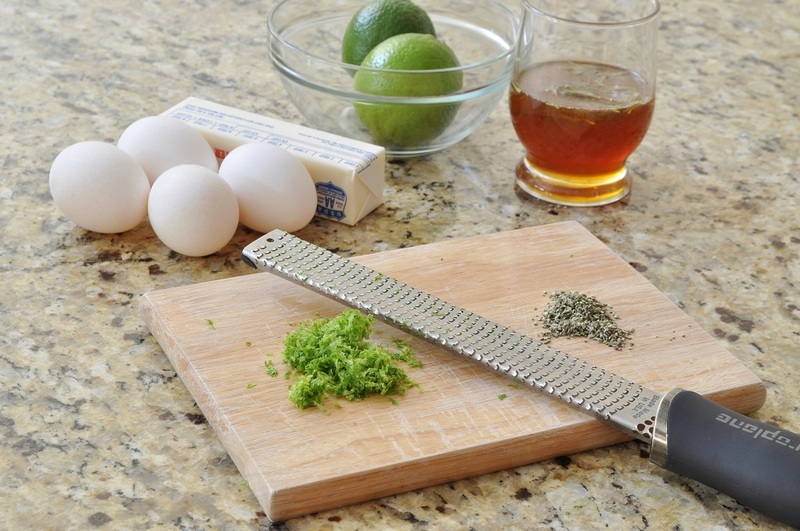 I chose to add lime zest. I loved how the bright green flecks looked in the deep gold of the egg-rich batter. The deep-frying went flawlessly. I used my candy thermometer to regulate the temperature of the oil, and the stovetop didn’t even get too terribly greasy. At any rate, the slight effort needed for cleaning up was certainly worth the result. Eating one of these freshly made zeppole, while still warm and sticky with its glistening coat of honey, is truly bliss. They’re airy and crunchy at the same time, and the slightly spicy note of the rosemary plays off the brightness of the lime perfectly. I wish that they hadn’t tasted so good. 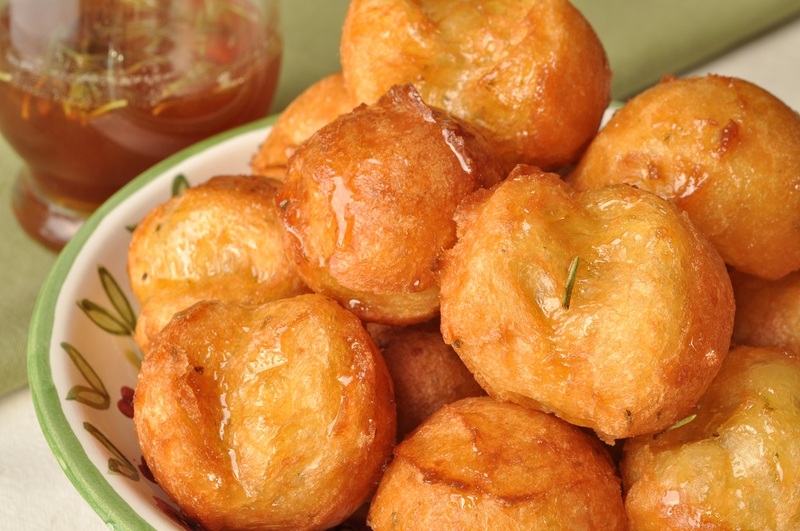 I wish that it wasn’t so much fun to stand over a pot of hot oil, watching the balls of dough puff up, feathery cracks appearing on their sides, while they bob on the surface like beach balls in a pool. I didn’t want to like deep-frying at home. Oh, well, it’s too late now. The zeppole are my contribution to the Alphabakes challenge, which is hosted by Ros of The More Than Occasional Baker and Caroline of Caroline Makes. This month is Caroline’s turn to host, and we have finally reached the daunting ‘Z.’ I can’t wait to see what everyone comes up with. Actually, zeppole were not even my first choice for the challenge: I had originally planned to make “zebra cake,” which was the colloquial title for the gateau Moulin I learned to make in pastry school. It’s a clever pastry, and I really must tell you about it some time—but these zeppole are better. I am also submitting it to the One Ingredient challenge hosted by Laura of How To Cook Good Food and Nazima of Franlgais Kitchen. 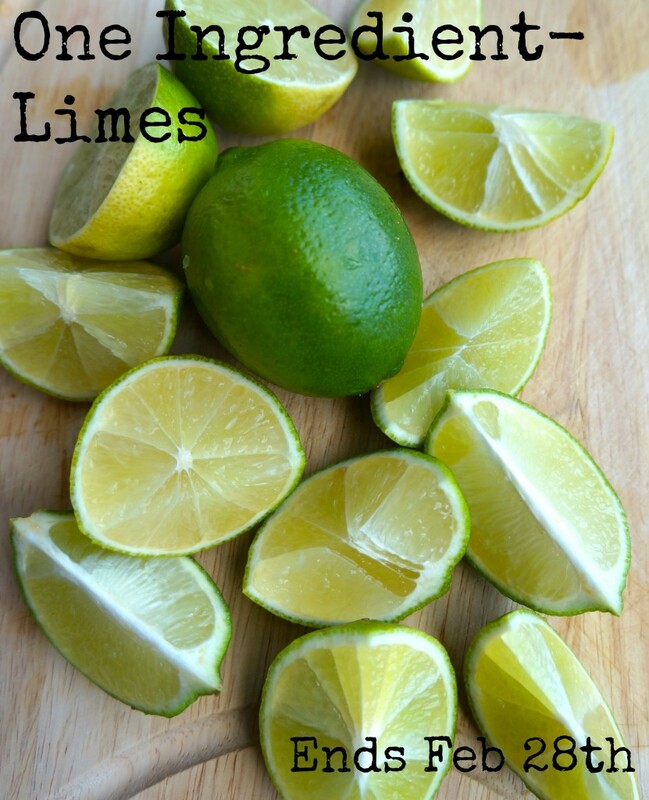 Laura is hosting this month, and she chose lime as the featured ingredient. 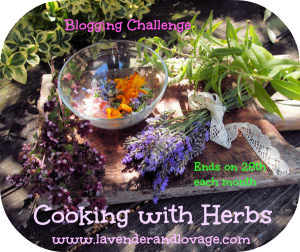 And finally, I’m submitting it to Karen’s Cooking with Herbs challenge over at Lavender and Lovage. This month was a “double feature”: we could either use Chinese herbs in honour of Chinese New Year, or else feature an herb that symbolizes romance in honour of Valentine’s Day. Rosemary, which represents remembrance and fidelity, has been widely used in wedding ceremonies since the Middle Ages. Brides would wear it in their hair or carry it in their bouquets, and richly decorated sprigs of the herb were often handed out to guests as favours—apparently to reassure them that the bride and groom would not forget them as they started out in their new life! It was also once traditional for newlyweds to plant rosemary by the threshold of their new home. I don’t know why this tradition ever fell out of favour. Having a rosemary bush right by your front door must have been so convenient! 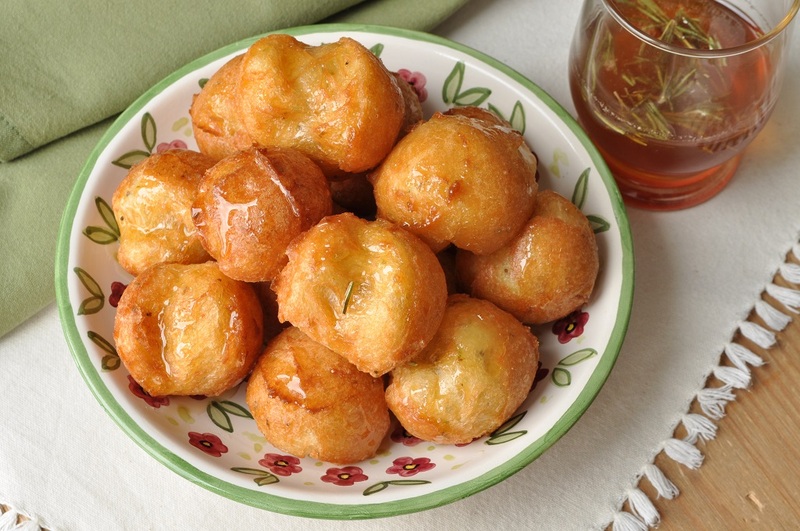 Karen has chosen rosemary as the theme for this month’s Cooking With Herbs challenge, so these zeppole are doing double duty! Actually, they’re very fitting for early March: just perfect for a doughnut-making extravaganza on Shrove Tuesday. 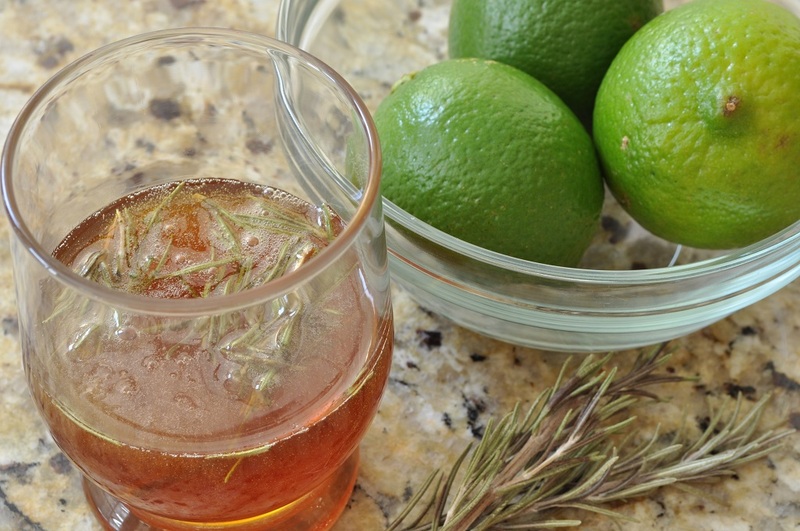 Make the infused honey the night before: combine the honey and rosemary sprigs in a small saucepan over medium heat and bring just to a simmer. Remove the pan from the heat and cover tightly with plastic wrap. Let the honey steep for 30 minutes; then transfer it to a small bowl and store it in the refrigerator overnight. The next day, combine the butter, sugar, and water for the zeppole batter in a medium saucepan and bring it to a boil over medium-high heat. Once the mixture is vigorously bubbling, remove the pan from the heat and swiftly beat in the cup of flour. Turn down the heat slightly and return the pan to the stovetop. Cook, stirring constantly, until the mixture comes together into a ball and a film appears on the bottom of the pan, about 2 minutes. 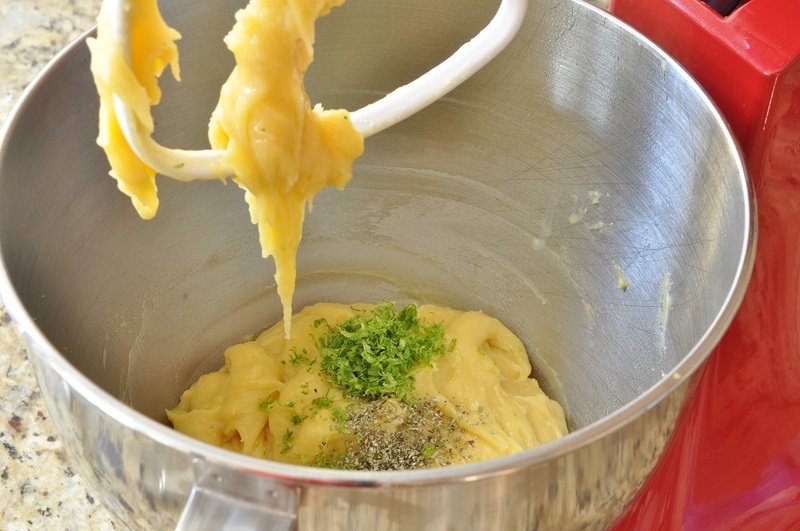 Transfer the dough to the bowl of a stand mixer fitted with the paddle attachment. On low speed, beat in the eggs, one at a time. Make sure each one is fully incorporated before adding the next. Once all the eggs have been added and the batter is smooth, mix in the lime zest and chopped rosemary. Pour enough oil into a large saucepan to reach a depth of about 3 inches. 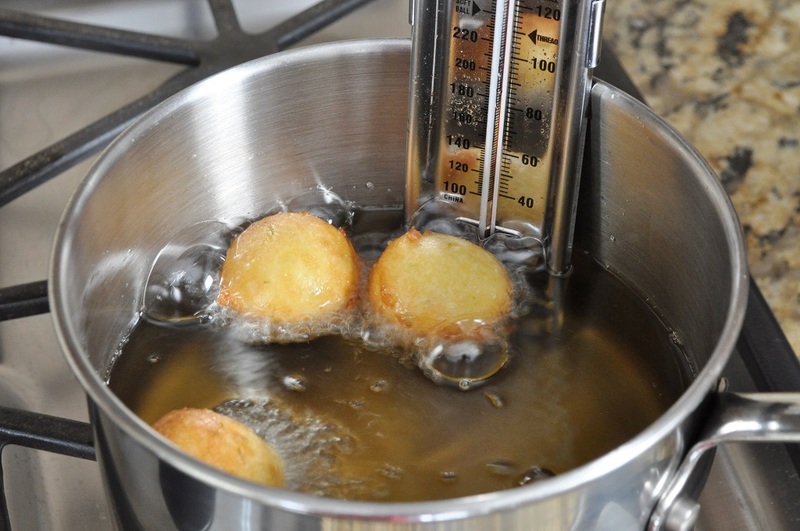 Over medium heat, bring the oil to 350°F, using a deep-fry thermometer to monitor the temperature. Line a baking sheet with paper towels and place it within easy reach. 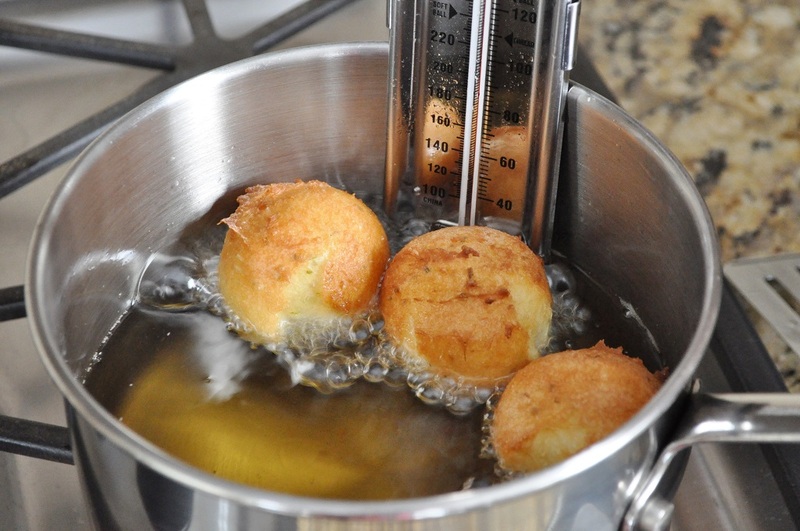 Use a small (2 teaspoon-measure) cookie scoop to drop 4 or 5 portions of zeppole batter into the hot fat. Don’t overcrowd the pan, as they puff up to about three times their original size. Fry the zeppole, turning occasionally, until they are puffed and evenly golden, about 5 minutes. Use a slotted spoon to remove the finished zeppole to the paper towel-lined sheet pan. Repeat procedure until all the batter has been used up. As you fry the zeppole, be sure to keep an eye on the temperature of the oil and adjust the heat of the burner as needed. You want to keep the temperature between 325°F and 350°F. 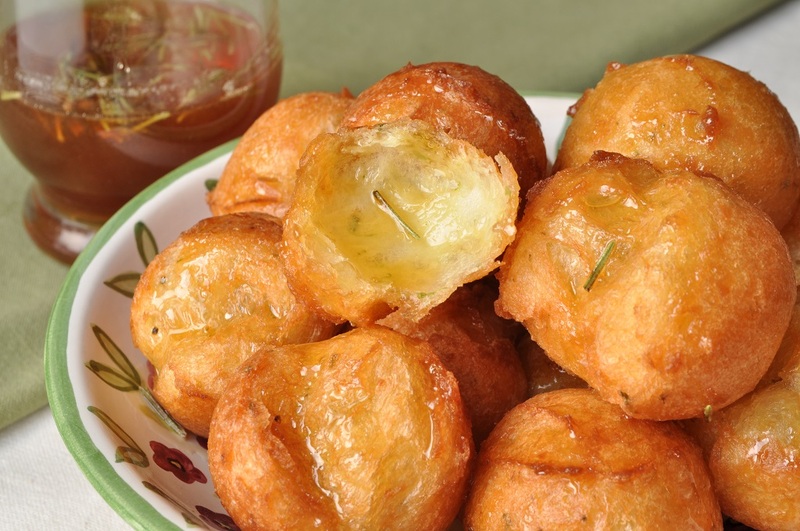 Once all the zeppole are finished, remove the rosemary sprigs from the honey and discard them. 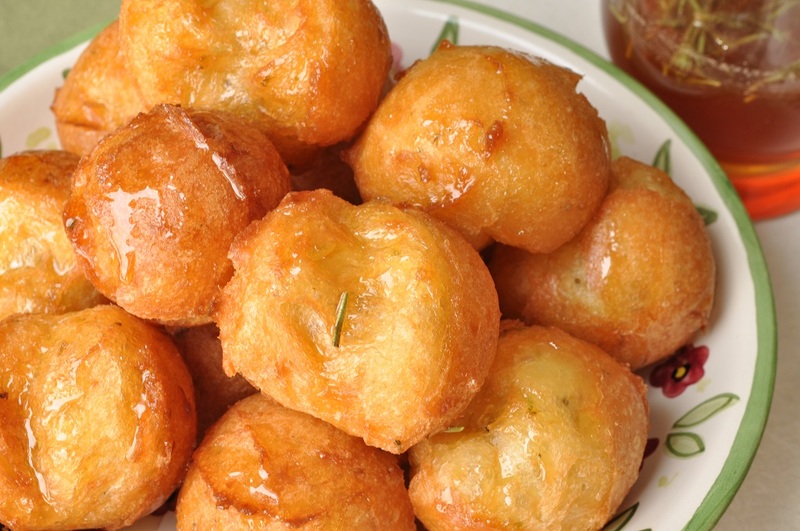 Pile the zeppole on a serving platter and drizzle the honey over them. Serve warm. Thank you, Karen. They are luscious, citrusy morsels, and they did photograph beautifully. I look forward to seeing the roundup at the end of the month and seeing what other recipes the theme inspired! These look so fantastic. I would simply have to eat them all. like you, I often steer away fro frying, mainly because I have a terrible extractor fan and also no thermometer! The idea of combining such lovely flavours is very clever indeed. Many thanks for entering One Ingredient! I don’t think I would have dared to try it without a thermometer. And it was difficult to stop eating them. I gave most of them away so that I wouldn’t keep eating them! These look lovely, I can almost taste them. Over here, having deep fat fryers are more common than ovens. Except for in my house, so the temperatures for the fat are particularly useful, thank you. Thank you! I’m glad you found the temperatures useful. 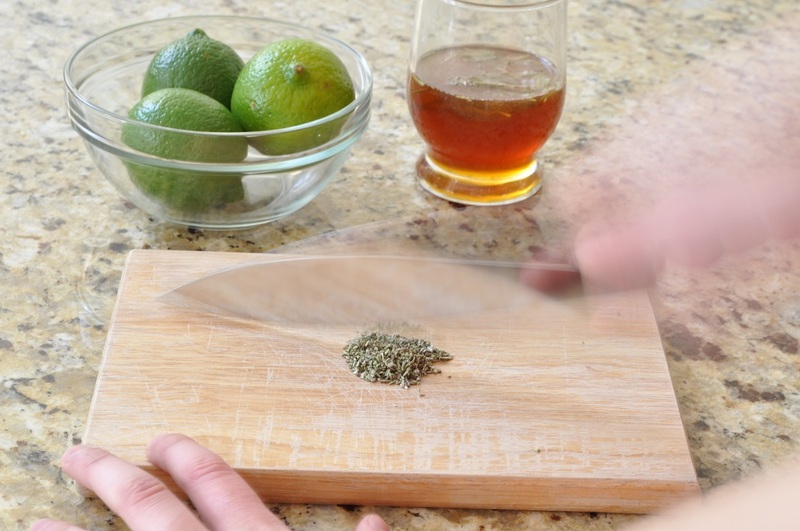 Was just having a look at the Cooking with herbs page and I saw this. 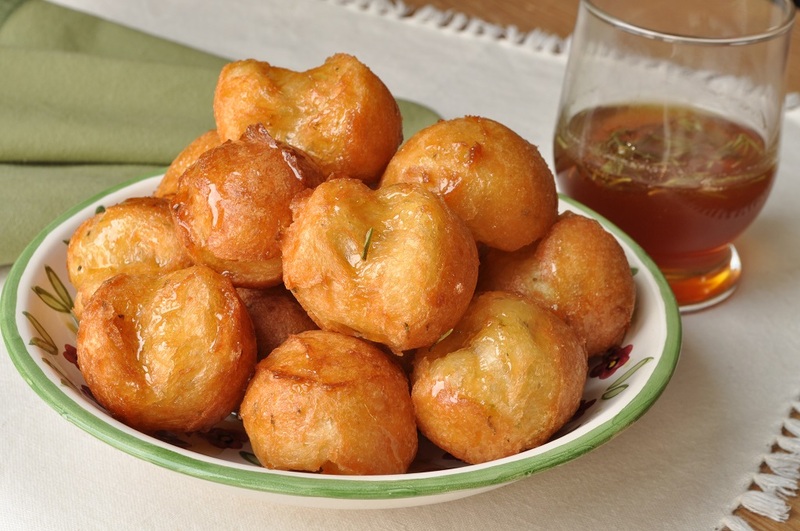 I love zeppole and your recipe looks wonderful, creative and delicious! Glad I came across your blog! Thank you! Glad you came by.